Yes, I know this comic is two weeks old. I just picked it up this week because the incredible red cover (and young George Washington) drew me in. Also, I read the new Usagi Yojimbo but all I have to say about that is you should put down whatever Marvel or DC comic you’re reading and read Usagi Yojimbo instead. Anyway, onto a problematic comic. 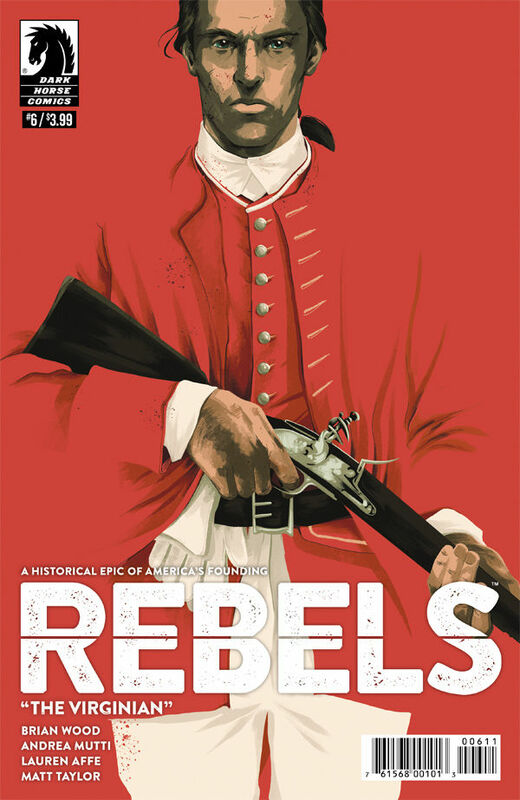 Rebels Volume 2 moves away from “These Free and Independent States” and onto a standalone story about young George Washington. “The Virginian” is set in the days before the French and Indian War, where a young and cocky Lieutenant Colonel George Washington sets in motion events that will inevitably lead to the American Revolution two decades later. “The Virginian” is not a work of straight historical fact; it’s a reworking of events that highlight George Washington’s character in 1753. The events depicted in this comic are a mix of Washington’s exploits from 1753-1754 that Brian Wood spins into a fictional drama. In this issue, Washington leads a group of 45 soldiers and two slaves through the Ohio River Valley. He parlays with a local native leader for safe passage through the valley. While on the move, Washington discovers a previously British-held fort that was presently occupied by the French. Washington improvises a plan to storm the fort. Wood chooses to show a Washington who trusts his slaves more than one of his own officers, which is insensitive given what we know about young George Washington’s treatment of slaves. Washington spent his younger years trapping slaves, not training Will to reload his musket or Jamie to write down his exploits. While I liked the characters of Will and Jamie, Wood paints a picture that suggests an enlightenment on Washington’s part that probably didn’t exist. This is the same man that told a slave in a sling, “If you use your hand to eat, why can’t you use it to work?” George Washington in this comic seems to think of his slaves as confidants and that just doesn’t jive with recorded history. He once told and overseer, “There are few Negroes who will work unless there be a constant eye on them.” While it does seem Washington rethought his feelings on the institution of slavery, a young and bullish George Washington wouldn’t be so chummy with people he deemed as his property. As irresponsible as the writing is, artist Andrea Mutti and colorist Lauren Affe produce some stunning visuals. Mutti’s an excellent storyteller. Every character is distinct and Affe’s color work is rich, bringing the 18th century Ohio River Valley’s lush greenery to life. The red Virginian uniforms pop while the light blue French uniforms are more subdued. They present a dynamic tale, it’s just a shame the writing is so tone-deaf. 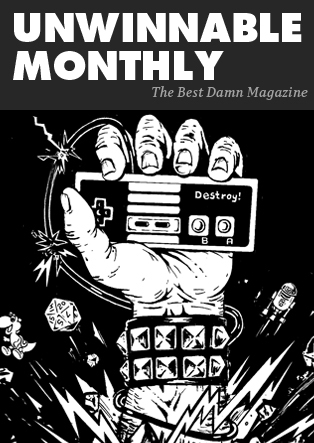 I can’t recommend this comic, but I can recommend checking out Andrea Mutti (Control, Prometheus: Life and Death) and Lauren Affe’s (Buzz Kill, Ghost Fleet, The Paybacks) work on anything else. It isn’t the artist or colorsit’s job to research Washington’s views on slavery, but it is the Wood’s. It’s an irresponsible representation of America’s first President. With the money you saved, you can go buy Usagi Yojimbo # 161. That comic is great! Having just recently rewatched Army of Darkness with my waning Showtime Anytime subscriptionI can say with confidence that Ash vs. Army of Darkness #3 continues to knock it out of the park, expanding on the expansion of the original Evil Dead films established by the original movie. 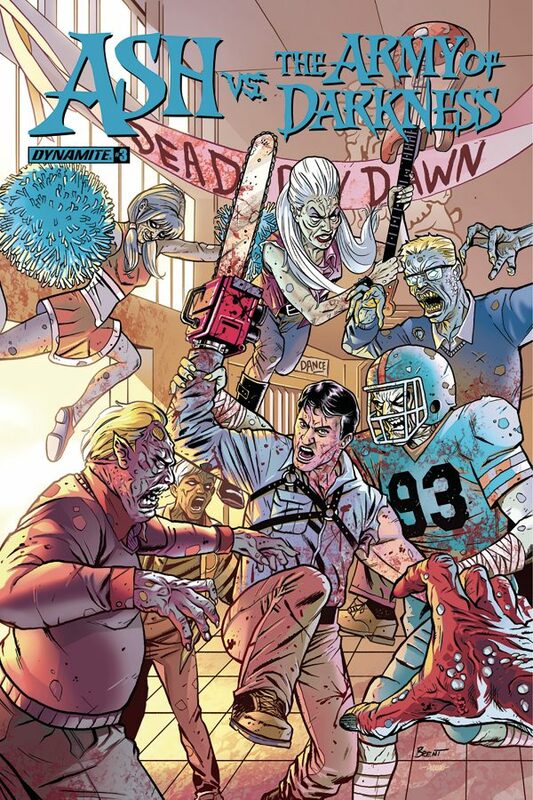 Initially I thought this series was a clever idea for a sequel in the ongoing saga of Ash Williams, but in this issue it proves that this series is doing a great job expanding on the mythology of the Deadites, as well as giving us a glimpse into what Sheila and Arthur were up to in Medieval times after Ash was sent back into the future. With a team of anti-supernatural militarized people called S.M.A.R.T. being introduced at the end of the last issue we are given their backstory at the beginning of this one, with a fun montage through the last 600 years of S.M.A.R.T. in action throughout history, including having a hand in fighting in the Revolutionary War and World War II. They are now another complication for Ash at Shepard High, on top of angsty, sometimes demonically possessed teens. The introduction of this “clandestine order of highly-skilled men and women dedicated to the eradications of evil in all it supernatural forms” brandishing shotguns and chainsaws provides at least two unique additions to this Ash Williams tale. For one it provides us a team of cocky macho Neanderthals to rival Ash, which means more funny interactions and conflicts for him. It also gives the Deadites more to do than just popping out of nowhere and ripping people apart, and to vary their strategy. It’s noted in this issue that a week goes at the high school by without Deadite incident, so some think that the presence of these fighters is scaring them away. By the end of the issue we’re shown that the evil dead have a plan, using a little nerdy student as an intel gatherer that’s been meeting up with a shadowy figure in the basement. Is this a double agent, or is there really a possessed Deadite biding their time? Most likely I think it’s a leader of some sort who’s able to keep the Deadites in their thrall, possibly even Evil Ash. Another thing this series continues to provide is an outsider’s perspective of Ash. There’s one particular ‘roided out member of the S.M.A.R.T. team who butts heads with Ash both figuratively and literally in this issue, and when the leader of the squad sees that Ash may be T.P.O. (The Promised One) that they’ve read about and have been seeking for the last 600 years, there’s a lot of doubt in the squad. As one moronic member states to Ash about T.P.O. “He’s as Heartless as the Deadites he slays! The stories tell us he’s either abandoned or murdered anyone he’s ever been close to!”. This statement adds color to Ash, since again it allows us to pull the camera back and note that the protagonist we’ve been following all these years is also a lunatic. If someone told you about all of his adventures to the cabin in the woods, where by the end he’s the only survivor, most people would just come to the conclusion that he’s a mass murderer. Even if you are enlightened about Deadites and the army of the dead it is weird how this guy is the chosen one in the battle. He’s essentially a cork to bottle up the flood that’s already wrecked a village, where the damage and death has been done. They’ll pop up again causing more damage, but for a little while the Deadites are gone. That’s the funny thing about Deadites. If three to four movies, a TV show and two decades of comic adaptations are to be believed then the absence of Deadites over an expanded period of time is a scarier prospect than their constant attacks. Similar to an earthquake the magnitude only increases the less incidents occur over an extended period of time. There’s intrigue and more violent armed lunatics added to the mix, and we’ll probably only have until the next issue to see what kind of chaos the armies of the dead will cause. Chris Sims, Chad Bowers and Mauro Vargas are crafting a wonderful next chapter in the saga of violent madman Ash Williams.